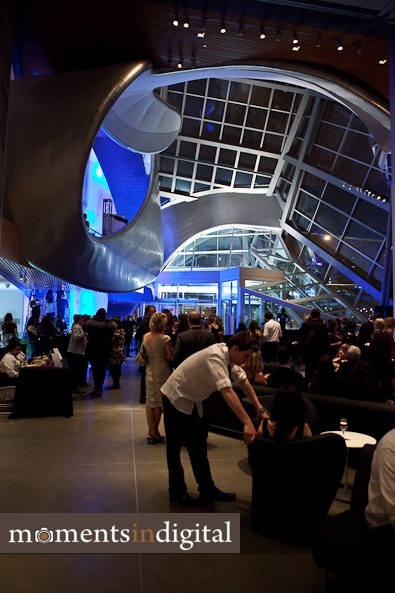 On Saturday night I attended the first Refinery Late Night art party held at the brand new Art Gallery of Alberta. It was my 2nd visit to the new gallery in as many weeks and my first time visiting the gallery since it opened to the public. I was there to cover the event for The Edmontonians newspaper along with reporter Erin Rayner from Ed Marketing and Events. Our coverage will appear in the March edition of the publication. Refinery Nights will be an ongoing series of late night parties, themed around the current exhibitions on display at the gallery. This time around the theme celebrated the work of Edgar Degas and featured a variety of events including music by DJs Nik 7 & Jaycie Jayce, an interactive paper folding display featuring Gabe Wongâ€™s Blockheads, exhibition tours of Edgar Degas: Figures in Motion with Alberta Balletâ€™s Jennifer Faulkner and Citie Balletâ€™s FranÃ§ois Chevennement, a photography project led by Klyment Tan, dance performances choreographed by Stephanie Lilley and organized by Step by Step, and an Arabesque competition led by Rapid Fire Theatreâ€™s Amy Shostak. The mood and the energy inside the AGA was amazing and it was a great way to enjoy the art gallery in a funky and relaxed atmosphere. One couple we met summed the evening up really well when they said that â€œit didnâ€™t feel like they were in Edmonton; but in a good way.â€ Being able to enjoy a drink, grab some food, take in the entertainment, and explore the exhibits, was a great way to spend a Saturday night and nights like these I think will bring more and more people down to Churchill Square and the new Art Gallery of Alberta. 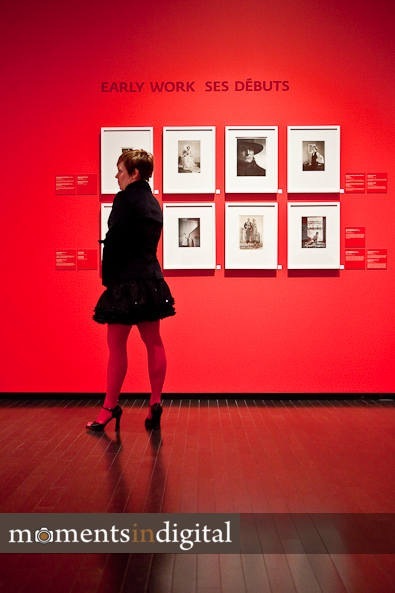 A woman admires the work of Yousuf Karsh. 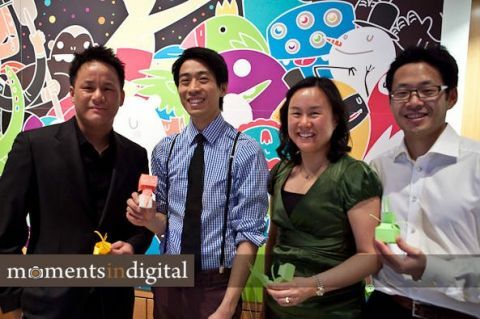 Abe Wong and friends with Blockheads. Sarah Hoyles from the AGA catches up with a friend. Photographer Klyment Tan takes a moment from behind the camera. Local artists take in the first Refinery Night at the Art Gallery of Alberta in Edmonton. Guests enjoy making their own Blockheads. Christian of Christian Hansen and the Autisics poses with friends. DJs Nik 7 & Jaycie Jayce provided the music for the evening. Amy Shostak from Rapid Fire Theatre leads an Arabesque competition. 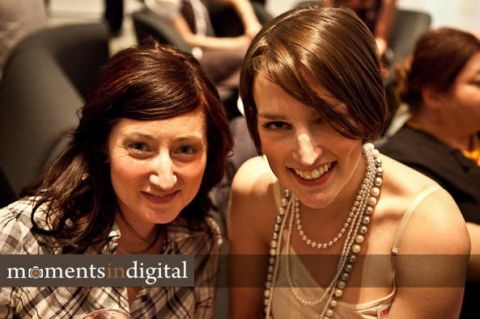 Members of Art Scene Alberta enjoy the eveningâ€™s events and entertainment. Erin Rayner from The Edmontonians and Sarah Leib from the Winspear Centre. Diane Begin from NAIT with a friend. The Borealis design at night. Awesome – I can’t wait! I have tickets for Monday. Looking at this is making me feel guilty that I have not visited the gallery yet. I will have to make it!